When I first looked at this illusion, I wondered what the weird black thing was in the middle of the image. Then, I realized that it was a tire and that there was actually a truck in this picture too. 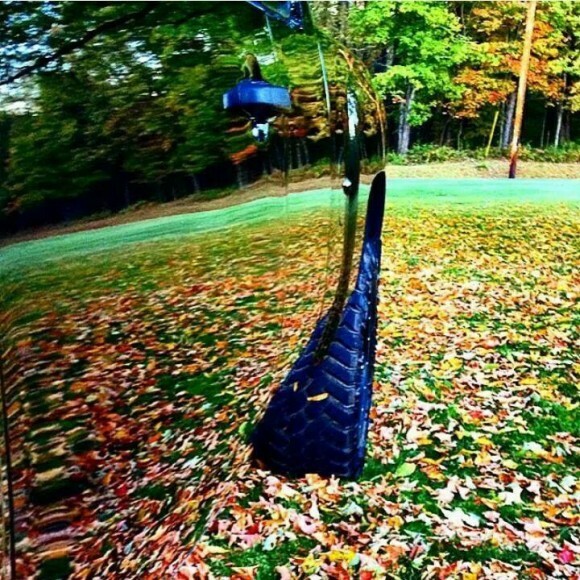 It almost appears to be an invisible truck, because of the reflection of the leaves and grass in the side of the vehicle. Whoever shined up this truck did a pretty fantastic job too! It’s so clean and shiny that the reflection is pretty clear in the side of it. It tricked my eyes for a moment! Did this invisible truck illusion get you? If you liked this one, you might also want to head over an check out the disappearing iPhone illusion as well! Prev It’s a Cat Farting Rainbows!